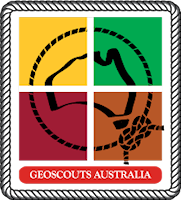 Welcome to the website of GeoScouts Australia. Geoscouts was started by a group of Scouters that are interested in using GPSrs and Geocaching with the intent of sharing their knowledge by teaching members of the all Scouting sections how to use GPSrs and the fun that can be had with the sport of Geocaching. On this website you will eventually be able to find lots of useful information to assist you to understand how to use a GPSr, how to use a GPSr in conjunction with a map and how to use it in the fun sport of Geocaching. We will also be compiling a list of Geocachers who are Scouters that would be prepared to teach you, either at your hall or in one of our training areas. Copyright © 2012 - 2013 GeoScouts Australia. All Rights Reserved.